There are many reasons to get your seaplane pilot certificate: get it in lieu of a normal flight review; challenge yourself by leaving your comfort zone to do something different; learn new flying skills and become a better pilot; and, it opens up a whole new world of flying fun. I gave a friend his first seaplane lesson in a Cessna 172 on straight floats in Florida. We weren’t more than a couple hundred yards off shore when he turned to me with a great big smile on his face and said, “Boating and flying. 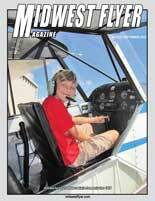 My two favorite passions.” He was hooked and soon got his seaplane pilot certificate. 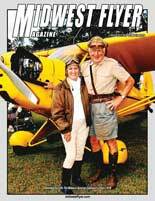 It wasn’t long afterwards that he bought a Super Cub on amphibs. Another reason to get the ticket is that it’s not that difficult. You already know how to fly and it’s rare when you don’t land into the wind on the water. Afterall, you have 360 runways available to you. You’re never too old, either. I gave a practical test to a 76-year-young pilot several years ago who had his first seaplane lesson in the 1950s, but never completed his training. Like my friend, he had a big smile on his face when all was said and done. 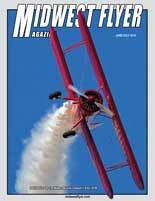 If you go to www.Seaplanes.org and click on Water Flying Info by State and Country, you’ll find a list of flight schools offering seaplane training. 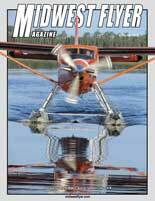 The aircraft range from J-3 Cubs to Beavers, and straight floats and amphibs. If you’re interested in getting your Multi-Engine Seaplane Pilot Certificate like I did, that opportunity exists, too. It was easy, fun, and relatively inexpensive. The cost varies by aircraft type, but the basic time involved is generally 8-10 hours, unless you want to get more advanced training. It is worth your time and money if you want to go further. While some schools will offer the shortest time possible, you may not be exposed to many of the variables of being a safe seaplane pilot. It’s like learning to fly in only calm winds. You can do it, but you’re not safe when the circumstances require those extra skills. Just as with land aircraft, there are risks. As a result, safety and maneuvering the seaplane on the water and around docks, etc., should be a high priority during your training. 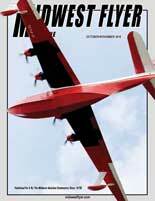 The easiest part about getting the Seaplane Pilot Certificate is that there is no written test. 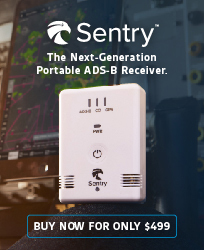 It’s an airplane class add-on to your current certificate. As I said earlier, you already know how to fly. You’re now adapting those skills to taking off, landing, and maneuvering on water. You’ll learn how to read the wind, water conditions, depth, obstructions, and boat traffic. You’ll learn the step taxi, plow taxi, and idle taxi; and normal, crosswind, confined area, glassy water, and rough water takeoffs and landings. Sailing, beaching, docking, and ramping are also taught. The practical test is one of the easiest you’ll encounter. The oral exam is using a lot of common sense and assessing risk under various scenarios per the Airman Certification Standards. The flight test is relatively short, where you are being evaluated on what you learned. As with any practical test, have fun with it. Once you get your certificate, you can cross that off your bucket list. But don’t stop there. Opportunities are available to buy into a fractional ownership or buy your own floatplane like my friend did. If you get enough seaplane hours, you can rent from a flight school to scratch the itch. But, the real fun is being able to participate in seaplane flying adventures and fly-ins with a group of other seaplane pilots, whether it’s local around your home state, or to places in Canada, such as Churchill, Manitoba (CYYQ) and Miminiska Lodge, Ontario (CPS5). Remember, with a seaplane, you’re not limited to landing only at airports. Nearly every lake is available to you. 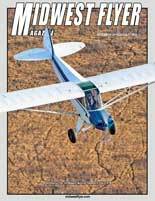 EDITOR’S NOTE: Woody Minar is a Master CFI, CFII, MEI and CFI-G (ASEL, ASES, AMEL, AMES, and Glider) at Osceola Municipal Airport (KOEO) in Osceola, Wisconsin; a FAASTeam Lead Representative; the 2009 Great Lakes Region FAASTeam Representative of the Year; and the 2012 Great Lakes Region CFI of the Year. 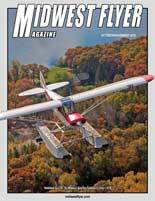 This entry was posted in All Features, April/May 2019, Features, Midwest Seaplane Pilot and tagged amphibs, Cessna 172, flight schools, Floatplane, Flying, Midwest Flyer, Multi-Engine Seaplane Pilot Certificate, pilot, Seaplane Pilot, straight floats, Super Cub, Woody Minar. Bookmark the permalink.